How bold are we? How much do system leaders actually mean when they talk about having clinically-led systems? It's like a moment in time when the sheer rhetoric of all that chit-chat starts to grate so much that most folks lose interest. More to the point, how much do politicians, or for that matter, even managers trust clinicians to deliver what's needed? The intriguing answer to that, after all my years of management at different levels? Absolutely no idea. Clinically-led organisations do better, so goes the saying, yet how many organisations are actually clinically-led is a matter of dispute. But on the flip side, there is no better time than now to perhaps road test it. How much are managers actually ready to cease control or do they genuinely see themselves as part of a team with their job to deliver the clinical priorities as outlined by clinical teams? I am keen to test the theory, so over the course of time will share the experience. The problem is the more clinicians feel rebuffed when their plans or suggestions are rejected or ignored, the more you disengage them. So how do you square that circle? How do you get the prodigals to return? Even with my role in NHS England, I am bemused by how many non-clinicians I sometimes have to spend time explaining why Type 1 diabetes needs focussing on. The evidence is there, the need is there... yet somewhere the trust isn't in a clinician. Let's take diabetes. Many separate pots of money. Let's make it simple. How about we forget all the nonsense of widget-based systems for a long term condition. Add in all the present expenses in acute and community providers, whether it be outpatient based activity on a payment-by-result for an acute trust or block contract to as community provider, and look at a 10 year contract to deliver for the region some basic priorities? Let's say you give that system 10 years to improve amputation rates, improve safety, improve education, improve pregnancy outcomes... well tested principles which has a benefit for patients and an economic return for investment. 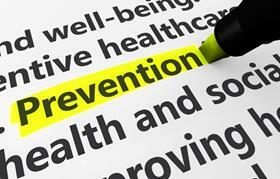 Stop micromanaging, give the clinicians the onus and responsibility and the task to live within that budget. Doable? Give them the onus to improve those simple markers, not blue print every single detail as to how to do it. Get it done, learn from others... your area, your money. 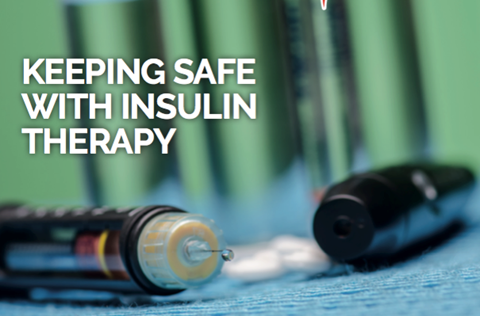 TREND-UK has released a patient booklet entitled Keeping Safe with Insulin Therapy because “insulin management and prescribing errors are very common and can lead to patient harm”. To read more, click here. 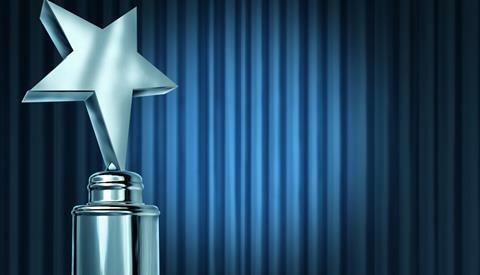 The winners of the 2016 Rowan Hillson Insulin Safety Award have been announced. Out of 19 submissions, the independent panel chose two joint winners, Dr Suma Sugunendran, who is an endocrinology and diabetes consultant, on behalf of the Insulin Safety Group at Royal Derby Hospitals NHS Foundation Trust and lead pharmacist of diabetes and endocrinology Sallianne Kavanagh, from Sheffield Teaching Hospitals NHS Foundation Trust. To read more, click here. 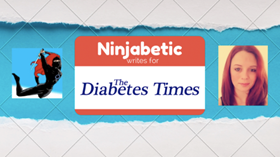 A new suite of free e-learning modules for healthcare professionals working in diabetes care has been launched by The Diabetes Times. 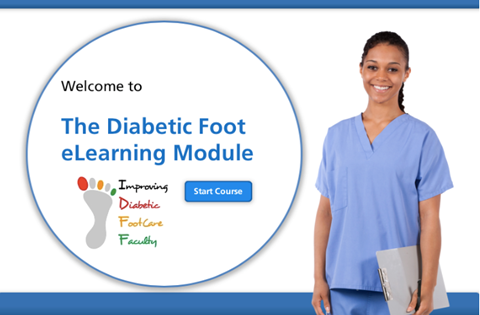 The first module, which has been unveiled, is about diabetic foot care and was developed by the Integrated Diabetic Footcare Faculty (IDFF), which is a voluntary group of healthcare professionals from the south west. To read more, click here. 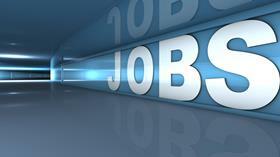 The national group which represents diabetes consultants in the UK has announced its new chairman. 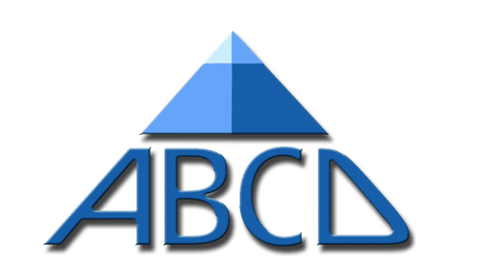 Dr Dinesh Nagi, who is currently the general secretary of the Association of British Clinical Diabetologists (ABCD), will take over from Dr Rob Gregory in May. To read more, click here. 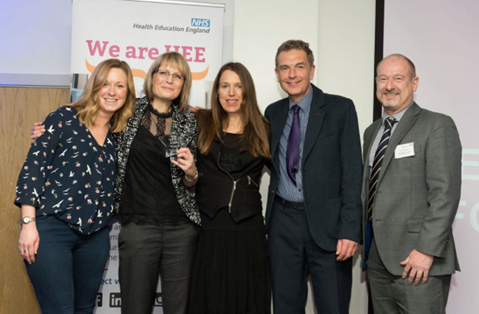 The Integrated Diabetic Footcare Faculty (IDFF), which was set up in 2012, scooped the NHS Health Education England Innovation Champion Star Award in March. To read more, click here. A Birmingham healthcare team has unveiled how its diabetes roadshow was met with “overwhelming support” by colleagues and helped raise awareness in a local hospital. 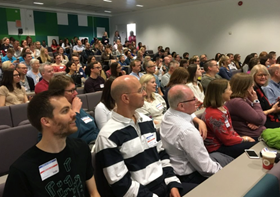 Senior charge nurse Stephen Groves and diabetes educator Martha Stewart from the Queen Elizabeth hospital, which is part of University Hospitals Birmingham (UHB), decided they wanted to organise an event which would increase knowledge and skill among staff in relation to diabetes care. To read more, click here. 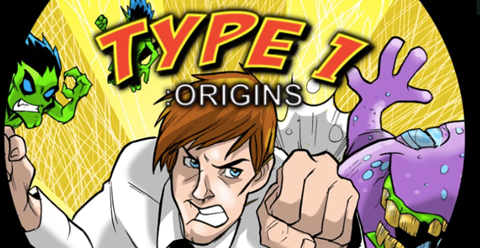 Secondary schools around the UK are being encouraged to show a cartoon about type 1 diabetes during Diabetes Week in June. To read more, click here. 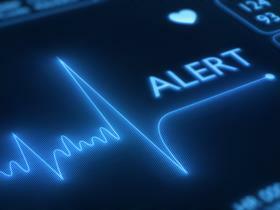 A medical alert warning users about the battery life of a specific insulin pump has been issued. The Medicines and Healthcare Products Regulatory Agency has released information for healthcare professionals so they can tell their patients about the updated advice. 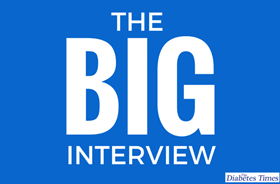 Sarah Bone is the chief executive of the Diabetes Research & Wellness Foundation charity. Since its inception in 1991, the organisation has committed more than £11 million to diabetes research and works with partner agencies all over the world. Here, Sarah tells The Diabetes Times what the future holds for the charity and what its main objectives are for the next few years. A sports scientist doctor and advocate of a low-carb high-fat diet (LCHF) has been found not guilty of professional misconduct for the advice he gave to a breastfeeding mother about food. 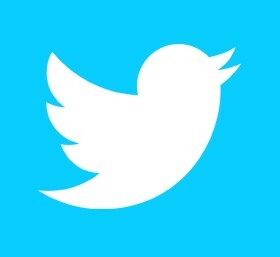 Professor Tim Noakes, who promotes the Banting Diet, advised the woman to wean her baby onto the LCHF diet via the social media forum Twitter. A few months ago I wrote about the importance of being selfish when you need to be, not in the way that may cause upset or hurt to myself or others, but more of a self-soothing, self-management sort of way.